Welcome to the first of my new series of Regional Focus pieces about the poetry scene around the UK. I suppose I could have called it ‘Down Your Way’ or some other BBC-esque ever-so-slightly patronising title. Or I could have racked my brains for something witty, wacky or non-cliched. But hey. PS: it’s long – grab a cup of tea and a biscuit. If you think that’s tricky then in 1087 it was called Laegrecastrescir. Which I’m not going to attempt to pronounce. Wikipedia says the population of the whole county is just under a million, and let me tell you, it’s seething with poetry. I asked a number of Leics poets what was going on up there. They sent back a TON of juicy information. Jayne is one of my virtual blogger friends who writes about her poetry life and the local scene on her blog. She’s lived in Leicestershire since 1989. Her pamphlet Beyond the Tune was published by Soundswrite in September 2014. Soundswrite is a women’s poetry workshopping and reading group that also has a small press – so far it has published three anthologies and five pamphlets. As well as attending and running workshops, Jayne is heavily involved in local projects including her most recent role as a commissioned writer for Sole2Soul, a project by University of Leicester’s Centre for New Writing, to attract visitors to Market Harborough Museum’s Faulkner boot and shoe exhibit. 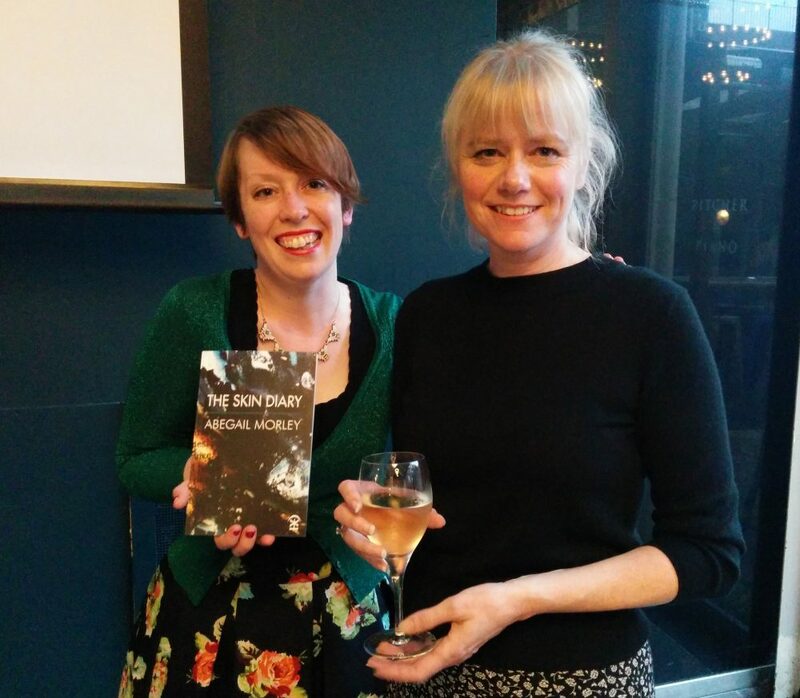 I first met Davina at a launch of The Rialto last year, and when we met again at the Poetry Book Fair we talked about many things including the idea of a Regional Focus series on this blog. So I have Davina to thank for the inspiration. Leicestershire-born Davina was a little coy about answering my request to ‘tell us about yourself’, but from her Poetry p f page I glean that she has had three pamphlets and two collections of poetry published, the latest being the super Common Ground from HappenStance (2014). Roy was manning the HappenStance table at the Poetry Book Fair last year when we were introduced – always wonderful to meet poet bloggers face to face, and I’ve been enjoying Roy’s thoughtful and perceptive blog for some time now. Roy lives in a village on the south side of Leicester where he’s been since 1998, although he lived in Leicestershire as a child “so I’m familiar with the greeting ‘Aye up me duck’, although you hear this less nowadays” – shame! Roy is widely published and has a pamphlet Gopagilla (Crystal Clear, 2012) and a full collection The Sun Bathers (Shoestring Press, 2013). Partly raised in Nottinghamshire, Maria admits “It was love that brought me back to the Midlands” – aaw! Now living in Loughborough, she balances bringing up twin 6-year old daughters with ‘poeting’ – her term for travelling around attending events, readings and so forth. Maria’s name came up again and again in my research for this piece – she’s a publisher, reviewer and poetry event promoter as well as a poet and she blogs at Commonplace. Her collection Melanchrini is published by Nine Arches Press (2012) and was shortlisted for the Michael Murphy Memorial Prize. Charles is a native Texan who, like Maria, was brought to Leicestershire by love – to the village where his wife grew up in fact. Anglophile Charles is fascinated by English history – “like many ex-pats, I now often write about how my adopted culture compares to my native culture.” Charles has run the South Leicestershire Stanza for the last six years, and as well as being widely published he’s also Deputy Editor of The Interpreter’s House. I ought to add that I didn’t manage to speak to Matt Merritt or Emma Lee, although they were both on my list, but I had so much info from the others that I couldn’t cope with any more! Both Matt and Emma’s names were mentioned by my reporters, and they both write fine blogs. Q1: Are there any specific towns/cities with a vibrant poetry scene? Maria Taylor (MT): The vast majority of events I attend are in Leicester, my closest city. I also attend events in Nottingham too. There’s a lot going on in the bigger cities, but there are also many things occurring in the smaller towns and villages. With the advent of various presses and regular events in the East Midlands, the region really does have a sense of identity on the poetry map. Jayne Stanton (JS): Leicester has a growing number of poetry open mic nights as well as readings and events organised by its two universities. Loughborough also has regular events, I believe. I’ve also begun to travel further afield, lately, and enjoy poetry nights out across the Midlands, in Lichfield, Burton on Trent, Coventry, Kettering and Rugby. Q2: Who are the poetry ‘movers and shakers’ ?? Charles Lauder (CL): Jonathan & Maria Taylor, Lydia Towsey, Jane Commane, Karin Koller who runs the Soundswrite Group, Mark Goodwin, a prolific poet who describes himself as a ‘community poet’—in the past he ran a lot of workshops for children in schools and for adults in adult education centers and in prisons. In the past year, he’s put on public installations in Leicester and Cornwall. MT: Not sure if I’m a ‘mover’ or a ‘shaker’! I try and facilitate opportunities for readings with Shindig, but I think one of the most productive (and modest!) person is Jane Commane who organises all sorts of readings. Also Lydia Towsey and Pam Thompson who do sterling work in Leicester. I should also say my husband Jonathan Taylor, otherwise he’d get upset! Seriously, he organises and hosts lots and lots of events. Jonathan and Jane combined at Shindig are a force to be reckoned with! It’s hard to answer a question like this because I don’t want to miss anyone out. To be honest it’s more like a big web of people connecting with each other. Everyone can offer something. Roy Marshall (RM): Jonathan and Maria Taylor because they are involved in organising the spoken word night Shindig (together with Nine Arches Press.) They’re also publishers (Crystal Clear Creators). Other poets who do other things include Matt Merritt, who blogs and reviews for magazines such as Magma, and all the people involved with ‘WORD’ at the Y theatre, including Jean ‘Binta’ Breeze, Pam Thompson and Lydia Towsey. And Soundswrite Press which is based here and publishes women poets. Q3: What regular poetry events are there in your area? CL: Shindig! is a bi-monthly open mic night at the Western Pub on Western Road in Leicester, organised by Jonathan & Maria Taylor (of Crystal Clear Creators) and Jane Commane (of Nine Arches Press). The night is divided into two halves—CCC hosts one half and Nine Arches the other—of about 10 open-micers each followed by 2 guest readers. For a Monday night, it’s a lively crowd of about 40–50 people who are very supportive and cheer everyone on. It’s mostly page poets, with some performance poets too. MT: Obviously Shindig is my top event as I help to run it with Jane and Jonathan and I’m often a host. The Open Mic is very high calibre, we often have some really exceptional poets reading. It’s also a friendly place for newcomers as well. Main readers have included some top notch poets, such as Kim Moore, Sarah Jackson, Rory Waterman and David Morley. We also use those slots to showcase local and regional writers. This year I was really cheered that Shindig was shortlisted for a Saboteur award, up against many London based events. RM: I think Shindig (at the Western pub) is fantastic. Always a really good set of guest poets and a good open mic. Appreciative and attentive audience. JS: Shindig! is unmissable, in my book (in fact, the only one I’ve missed was just after my hip replacement)! CL: Word! at the Y is the longest running spoken word event in the Midlands and is hosted by Lydia Towsey. This is held monthly on the first Tuesday of the month, with an evening of open-micers and a guest reader at the end. Most of those reading are performance poets and sometimes visuals will accompany the poets. Well-attended. MT: I began reading at WORD! myself nearly 5 years ago now. It’s a similar format to Shindig with lots of Open Mic. I recently heard George Szirtes and Pascale Petit read there. I was asked to read as a support act to Ann and Peter Sansom in April, which was lovely. It’s a very supportive atmosphere and readers are warmly welcomed. RM: WORD! at the Y theatre was the first place I ever read a poem aloud and has had a great mix of guest poets over the years. JS: Word! is where I cut my teeth as a poet at the open mic, and where I still attend as often as possible. JS: Pinggg…K! is a monthly open mic night in celebration of metrosexual verse, at Duffy’s Bar, Pocklington’s Walk. Held on the last Tuesday of the month. The format: poetry circle, followed by open mics and feature poet. A popular event with a warm welcome to all from host Bobba Cass. JS: Also, Find the Right Words: Performance Poetry and Rap Night hosted by Jess Green, held Upstairs at the Western (pub) monthly. The format: ten open mic slots and two feature performers. (I’ve not attended this one yet, but was sorry to miss Holly McNish recently). MT: There’s lots going on in Nottingham, of course too. While bookshops are closing elsewhere, Five Leaves Bookshop run by Ross Bradshaw has opened. Great bookshop, you can actually browse poetry books! Apart from bookselling it’s also served as a venue for launches. One for the new issue of New Walk was held there in October for instance and it attracts good audiences who are serious about poetry. Then there’s also ‘Jazz and Poetry’ which is new-ish too with strong audiences. Should mention Nottingham Writer’s Studio too who offer writing space and courses. A festival culture is also developing, supported in the main by local universities. These include States of Independence (DMU), Literary Leicester (Uni of Leicester) and Nottingham Festival of Words (Nottingham Trent). 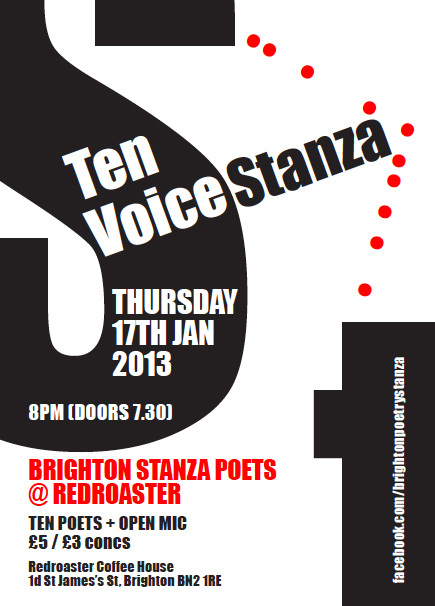 So you get the picture…there are lots of opportunities and masses of spoken word and performance poetry too. Again, sorry if I’ve missed anything out, there’s quite a lot! Q4: Is there any poetry heritage associated with the area – famous dead poets, or locations or industries that inspired poets or poetry of the past, etc? MT: Larkin lived in Leicester for a time, and was of course born in Coventry, but he is more widely affiliated with Hull. If D. H. Lawrence was a stick of rock he’d have Nottingham going through him. Lord Byron’s family home is at Newstead Abbey in Nottinghamshire. When you exit Nottingham station you’re greet with a big sign which reads ‘Our Rebel Writers’ and features Byron, Lawrence and Alan Sillitoe. Joe Orton and Sue Townsend came from Leicester. Poetry aside, both cities have a real literary heritage. JS: Other famous dead poets: Loughborough-born John Cleveland (1613-1656), Leicester-born poet and leading Chartist Thomas Cooper (1805-1892), Jessie Pope (1868-1941). Q5: Anything else I’ve missed? CL: Two more important annual literary events to mention are Everybody’s Reading, a two-week festival in September with city-wide events to promote literacy throughout the city, and States of Independence (the equivalent of London’s Free Verse Book Fair), run by Ross Bradshaw of Five Leaves Press in Nottingham. DAP: I realised you didn’t mention publishing as a separate category. In the past Leicester has had a range of small poetry publishers but they have quietly disappeared. Soundswrite is the only one I can think of – but so far we’ve only published from within our own members, so that keeps us in the ‘self-limited’ category. Nottingham, by contrast, has Shoestring, Five Leaves, Candlestick (all known nationally) – and, I suspect, others. CL: I think the literary scene that’s alive and thriving now in Leics is making up for lost time. So many poets who are often reading at the city’s open mic events are publishing collections & pamphlets with national publishers and making a name for themselves. Years from now when a literary history of the early twenty-first century is written, Leicester will be highlighted as a thriving cultural centre for poetry. MT: I think it’s great that my little bit of the East Midlands has such a vibrant poetry scene. Long may it thrive! Q6: And finally … any interesting factoids for us? MT: I really like the folklore tale of Black Annis, a blue-faced witch who’s meant to haunt the Leicestershire countryside. According to legend she has a taste for children and lambs and resides in a cave in the Dane Hills. She probably finds things a bit tricksy these days as many of her old haunts are now built up. Loughborough was the home of Ladybird books and also the destination of the world’s first package tour. It was organised by Thomas Cook in 1841. They came all the way from Leicester on a train. Shilling a head. CL: Quite a few native Leicesters I know don’t like Leicester. It’s a dirty, ugly city and a lot of its obvious architecture are failed post-war creations. However, you have to look beyond that to find some very historical (medieval, Tudor, Stuart, etc., up to Victorian) treasures. Now that Richard III’s body has been discovered, that might spur an historical revival of the city. Other nice little treasures are Cardinal Wolsey’s gravesite and the church where Chaucer got married. RM: Bradgate Park (where the young David Attenborough found his first fossil) contains the oldest rocks in the world. The Python, Graham Chapman was from Leicester as was Sue Townsend of course. JS: Leicester’s very own ‘King beneath the car park’: Richard III. Also: Leicester hosts the largest Divali celebrations outside of India. It was also Britain’s first ‘Environment City’ and is home to the National Space Centre. Phew! Huge thanks to my tireless reporters. Do you live in Leicestershire? Have we missed anything or anyone out? Please let me know in the comments. Would you like to see your area featured in a Regional Focus? Let me know! late. Guests we have had at Word! speak of how vibrant, warm and inclusive it is and I know that goes for other events too. New people are welcomed and a range of poetries are encouraged. A great post.Thank you. Hi Pam, thanks for visiting & commenting! I’m glad you liked the post. It does sound like there’s a lot happening and in particular for me it’s fascinating to hear how other events are organised. Hi Robin, thanks for posting! I should have also mentioned Matt Merritt, he’s been blogging about events on the region for years at Polyolbion, which is a very active and well-known blog. P.S. fab Larkin image! Hi Robin. Many thanks for putting this together. Really interesting reading. Shows just how much is going on locally and good to see common involvement and activity. Hi Robin, this looks great! Thanks for all your hard work in compiling all our answers AND for making Leicestershire the first stop on your ‘Down Your Way’ tour. It’s good to be reminded of how much literary/poetry culture & events we are continually surrounded by. Great to see Leicestershire get a mention. Worthy of inclusion are New Walk Magazine – Nottingham based now but has its origins in Leicester where one of its editors is still based and Deborah Tyler-Bennett’s Coffee House magazine (based at Charnwood Arts, Loughborough. I’m also based in Leicestershire and review both on my blog and for other magazines.